From ideation to delivery, Frank Gaine helps create compelling user experiences for products and services, ensuring that they are commercially effective and a delight to use. He has worked internationally at both agency and client side, for global brands as well as working with exciting start-ups and charities. In 2013 he co-founded UXswitch.com, a career platform for Designers which features a database of candidates, a unique visual job board and a top ranked career advice centre. 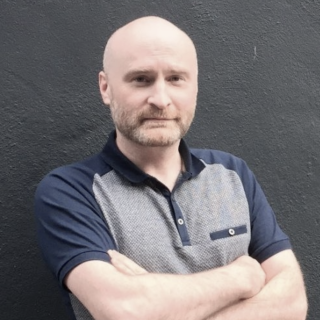 Frank works at the award winning Irish design firm frontend.com and is also a trainer with the UX Design Institute.